The author critically evaluates the existing performance management system in organizations. Read on to know if it requires redesigning. It is generally held belief that most employees are disinterested in the appraisal process. Even many managers are reluctant evaluating their subordinates but they act as an appraiser just for the sake of completing the appraisal process as mandated by the organization. In such scenario, what an organization can do in order to bring back the belief of the employees in the performance management process and create a friendly workplace? Does it make sense to abolish the performance appraisal system or the system needs an improvement and redesign? Performance appraisal is a process that evaluates the employees and informs them how well they have progressed toward achieving the set objectives for the said review period. Though the goals and performance measures are mutually agreed upon by the appraiser and appraisee, it's often seen that it's the manager who sets the goals based on the organization's need and tries to align the individual's goal with those. Sometimes, it so happens that an individual wants to achieve something different like learning new skill, getting involved in other work related projects which can improve analytical and leadership skills etc. along with the job but the performance management system doesn't allow to set such type of goals either because the manager doesn't think individual goals as important or due to system constraints. Another issue with the performance management systems in most of the organization is that they try to quantify the qualitative attributes or the subjective items. For e.g., how can an integer rating out of options 1 to 5 be given to any skill? Another issue which is commonly seen is that performance management system doesn't align with the objective of the organization and considers the holistic development of its employees rather it has become a tool for criticism and is done only for the sake of doing it. Most of the organizations use bell curve in performance appraisals which compel the appraiser to use a forced rating instead of a fair one. This method is too rigid and may lead to loss of morale among employees. At times, managers also show disinterest in the appraisal process and find themselves in a fix at the time of giving final ratings to the subordinates. All such issues create conflict between the manager and employee and bring dissatisfaction which ultimately affects the work culture of the organization. It's very important to develop an effective but a friendly performance management system. Organizational heads should consider aligning the performance management system with the organizational goals. They should develop such appraisal process which not just identifies the top performers but also bring the low performing employees to average and above average level so that overall development of the individual and hence organization can take place. Creating a culture where employees are not scared of the performance appraisal but seek it as a way to improve and learn and hence contribute towards the organizational goal should be created. 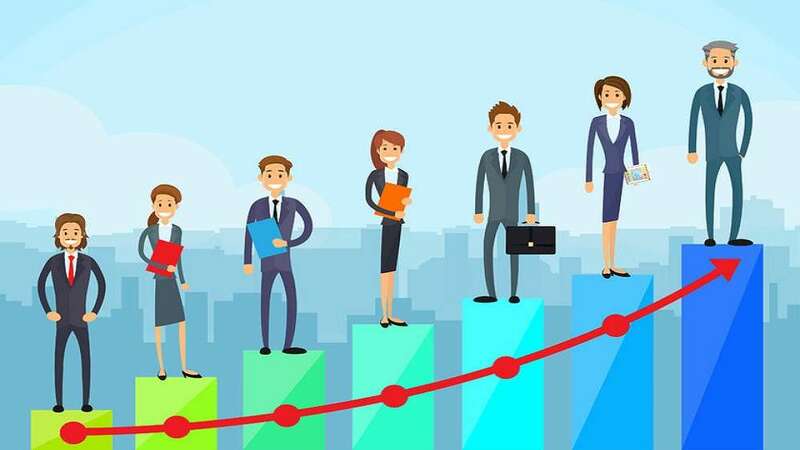 Companies like Infosys, Microsoft and Cisco have already stopped using bell curve methodology in performance appraisal system and it has shown a sign of relief among the employees and hence towards the productivity. A similar approach can be taken by other organization to boost up the employee morale which has lowered down due to the use of bell curve. It is also important to make managers trained about the different aspects of performance management and guide them in the case of any issues. Companies can leverage 360-degree feedback system for the appraisal which creates a win-win situation for employees, managers, and customers and helps to bring the confidence in the appraisal process. If the performance management system is robust which helps in learning and overall development of an individual, it will increase the job satisfaction levels and thereby decrease the attrition rate. It's very important for an organization to understand the objective of performance management system and design the performance management system which is based on the needs of different departments within the company. Organizations should try to create an environment which enables learning and provides a platform to employees to showcase their skills so that their work can be appreciated and rewarded. Performance appraisal system should not be a way to criticize but it should aim at the continuous improvement of the employee. It should also try to capture the work related preferences of an employee and how best those be mapped with the objectives of the business unit and the organization. Appraisal process in various organizations is changing due to different business needs and human resource constraints which should be taken receptively by all the stakeholders and hence there appears a need to realign and update policies and processes in an organization to create an effective and friendly work environment and thus happy and satisfied workforce.